We are offering Safe Deposit Locker to our client. Our security equipment like record room doors is designed specially to cater the needs of establishments like financial institutions, industrial and commercial organisations, banking sector, co-operative sectors, corporate houses, cash flowing sales outlets like petrol pumps, supermarkets, star hotels, high way restaurants, palaces and posh. Hotel Mc International Amenities. Hotel has Conference hall with capacity of 25 - 450 people. Also provides Fax, Secretarial services, Safe deposit locker, Currency exchange, Travel assistance and Car hire facilities. Valet parking facility is provided on request. We are dedicatedly engaged in manufacturing a commendable range of Silver Bhandar. 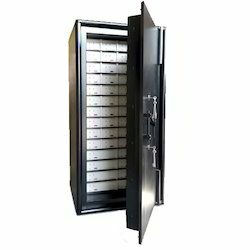 We are manufacturing and supplying safe deposit locker. We are equipped with modern technology and machines to meet the international competitions. Our safety locker is available from us on number of customized designs according to the needs of customers. This safety locker is ideal for use at places where many goods need to be stored at the same time. 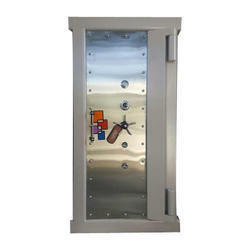 Moreover, offered safety locker is easily availed from us at market leading rates within confine time.